Chicago is the third largest city in the United States that is best known for its architecture, cuisine, and arts. If you will be visiting the Windy City and would like some ideas for a luxury trip that excludes the typical tourist venues than take a glance at the 3-day whirlwind itinerary below. You can’t talk about Chicago without mentioning its high-end shopping and its connection to the world of art. You will start your quick trip with unremarkable shopping and arts. Museum—The two top picks in Chicago are the world renowned Art Institute and the Museum of Contemporary Art (MCA). Both are located downtown along the Magnificent Mile, MCA is just a few blocks of the strip. If you are a fan of less traditional art the MCA is a top pick and if you prefer the classics The Art Institute is the better choice. The Art Institute can take hours to tour in its entirety while the MCA takes approximately one hour from start to finish. 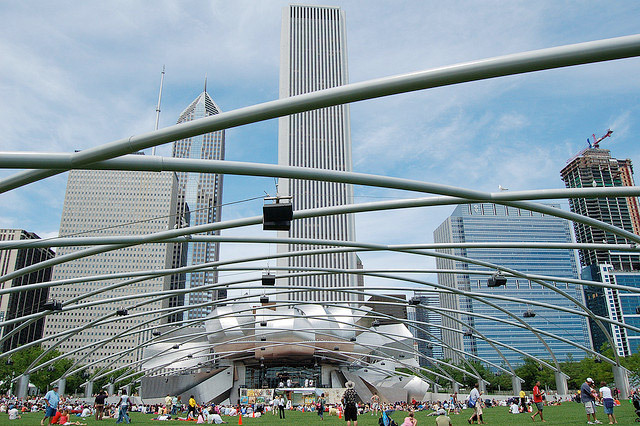 Millennium Park—Millennium Park is home of Cloud Gate, Harris Theater, and the Lurie Gardens. It is Chicago’s version of Central Park and a must see while you are in town. Lunch—If the hustle and bustle of Millennium park is not quite your preference instead dine in the parks famous restaurant The Park Grill or nearby restaurant The Gage. The Gage is directly across the street providing you with an eye-catching view of Millennium Park without having to enter the park to explore. Chicago Loop Shopping—Millennium Park is near the Chicago West Loop which is known for its historic Jeweler’s Row and high-end boutiques. Take a stroll through the Loop and select the shops and boutiques of your liking. Take a quick break and head back to your hotel to get ready for your evening plans. The Signature Room—The Signature Room is the ideal way to experience the remarkable views of the John Hancock Building, without the lines and tourist traffic. Instead you will dine at this 95th floor restaurant that offers a full 360 degree view of the city. On a clear day you can see the surrounding states of Michigan, Wisconsin, and Indiana. After dinner you can head up to the observation deck, or hop a cab to your next destination. Evening Show—Take your pick from the many downtown theaters. You can catch a touring Broadway show in the Theater District, Opera at the Civic Opera House, dancing at Joffery Ballet, a play at Shakespeare Theater, Improve at Second City or Improv Olympic, check to see what is playing at The House of Blues, or Harris Theater at Millennium Park. Today your itinerary will include some of the luxury locales synonyms with Chicago. Magnificent Mile Shopping—The Magnificent Mile is a 13 block stretch on Michigan Avenue jam packed with 460 retailers providing clothing, art, jewelry, and specialty confectioners. While on the north end of the Magnificent Mile be sure to turn west onto Oak Street where you will find additional luxury retailers such as Hermes, Jimmy Choo, Barneys, local Chicago designers, and many more high-end shopping destinations. Lunch at The Drake—The Drake Hotel is a historical landmark building on the coveted Gold Coast located on the Magnificent Mile. Take a break from shopping to dine in The Cape Cod Room at The Drake or for lighter fare have Traditional Afternoon Tea in The Palm Court. More Shopping or a Tour—If you still haven’t shopped to your heart’s desire you can head back out to Michigan Avenue. If your shopping is complete take a historical Architectural Riverboat tour. This 90 minute cruise glides down the Chicago River giving you a view of the city like no other. While onboard you can sip wine and enjoy the city’s skyline. Dinner Option 1—Local Dinner—Dinner option 1 is a bit causal, but uniquely Chicago. You could head to China Town for Dim Sum, Little Italy for authentic Italian cuisine, or to a casual dining Chicago staple like Portillo’s for Chicago Style hot dogs or Italian Beef or to Giordano’s for classic Chicago deep dish pizza. If the local Chicago fare is not your preference have dinner at Andy’s below. Andy’s Jazz Club—Chicago is known for their legendary jazz and blues scene. Top your day off at Andy’s Jazz Club which has been a Jazz staple in Chicago since 1951 hosting some of the greats in the field of jazz and blues. Table seating is only guaranteed for guests dining at Andy’s, otherwise tables are first come first serve with a 2 hour maximum. If you aren’t able to snag a table you can sit at the bar. If Chicago local dinner is not your preference you can dine at Andy’s while enjoying their live jazz. Today is the ultimate food experience with a bit more culture! Table 52 Sunday Brunch—If you will be in town on a Sunday, brunch at famous chef Art Smith’s legendary restaurant is a must. Art transforms American southern favorites into mouthwatering culinary delights. Art Smith has cooked private meals for Oprah, the King of Sweden, and President Obama. 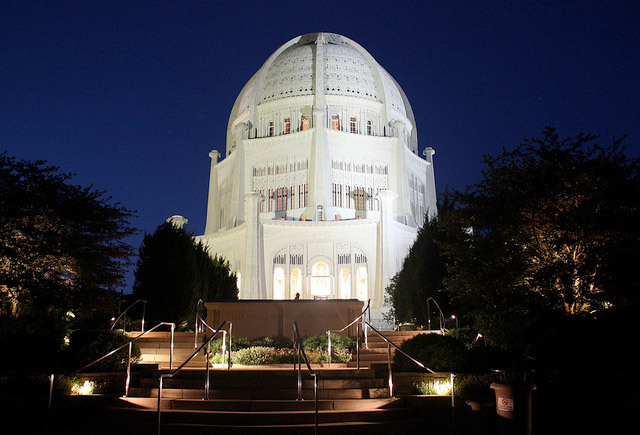 Baha’i Temple—In between this day of fabulous food hop in the car and drive to nearby Wilmette, Illinois to the Baha’i Temple. This pristine white temple is one of only 7 in the world. The temple grounds have a garden you can enjoy and the temple is located just off of Lake Michigan. Services are held at the temple daily at 915a and 1230p to view the magnificent inner dome of the temple schedule your trip times accordingly. Motto—Now for dinner at Motto and their renowned molecular gastronomy prefix dinner. This dinner will be as visually stimulating as it is decadent. When you make your reservations at Motto you will share any food allergies or restrictions you have, and your menu will be handpicked by the chef. You can choose from a 5, 10, or 20 course prefix tasting menu. 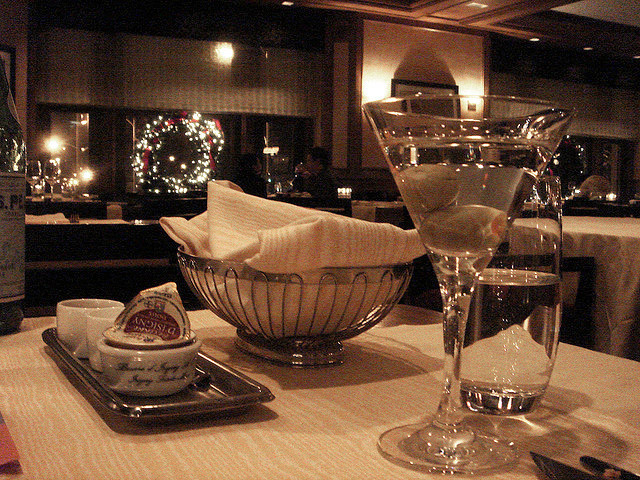 You can pair your tastes with specialty wines or order from their menu of one-of-a-kind specialty cocktails. Depending on how many courses you select dinner can take up to 5 hours. 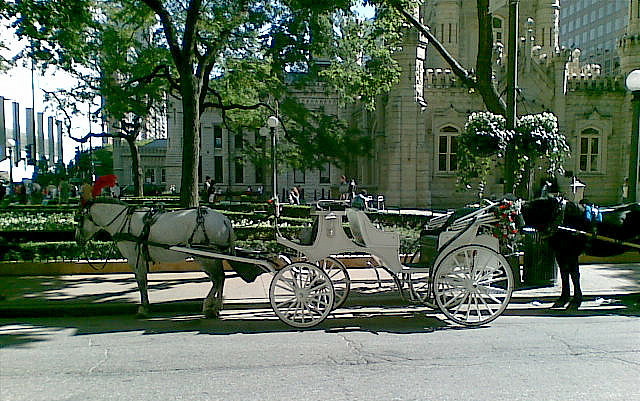 Carriage Ride—After your lengthy dinner and your whirlwind 3 day vacation take some time to unwind by heading to the Water Tower on Michigan Avenue and taking a romantic carriage ride around the city. Keep in mind that reservations and tickets for most of the below locations will need to be purchased months in advance. Hey, why not head to Chicago?